Did you know that there is a very special Archdiocese in these United States of America that does not have any geographical boundaries? It has its own Archbishop based in Washington, D. C., but he is not the Bishop of that city. The Archbishop that I speak of is the Most Reverend Timothy P. Broglio, of the Archdiocese of Military Services, or AMS. His diocese is the farthest-ranging of all American dioceses, perhaps of all dioceses in the world. Archbishop Broglio is in charge of all the Catholic American servicemen worldwide, from the elite military academies to the lowest privates stationed in the most isolated and dangerous places where soldiers, Marines, sailors, and Coast Guardsmen go. Besides these duties, he oversees the religious needs of those Catholics in U. S. military hospitals both at home and abroad. This is an amazingly demanding and responsible job for one man. Besides being Bishop to all American Catholic servicemen and women and their families, Archbishop Broglio is responsible for fundraising to support his enormous diocese and the education of the priests who commit to a life as military chaplains. According to an article that he wrote for the AMS’ magazine “Salute,” he spends the better part of every year on the road and in the air traveling to his various outposts, visiting and saying Masses, hearing confessions, performing the Sacrament of Confirmation, comforting the wounded in military hospitals, all scheduled around visits to the various military academies in the States. He seems to be a man of boundless energy and endless good cheer. The Archdiocese for Military Service was created by Pope John Paul II in 1985. Archbishop Broglio is the fourth head of the AMS having been appointed to succeed Archbishop Edwin O’Brien in 2007 by Pope Benedict XVI. He serves nearly two million men, women and children in more than 220 installations in twenty-nine countries, patients in one hundred fifty-three V.A. Medical Centers, federal employees serving outside the USA in one hundred thirty-four countries. That is almost a world-wide ministry. Four auxiliary bishops, all former military chaplains, assist him in his duties. Priests who become military chaplains remain priests in good standing in the dioceses from which they are recruited. It is interesting that the many chapels on military bases and in hospitals and other military facilities are the property of the United States government and not the Church. Because of this, all records of births, baptisms, confirmations and other sacraments are held at the AMS headquarters in Washington, D. C. Also interesting is that the AMS receives no funding from the United States government, nor from the Catholic Church in general. It is funded by the chaplains themselves, the men and women in uniform and private donors. 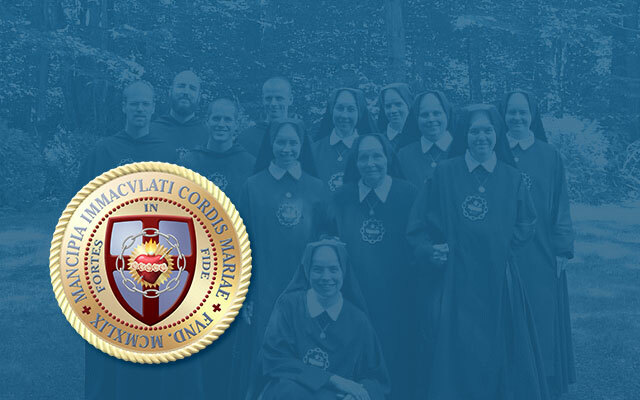 I first became interested in the AMS when I received an appeal from them a few years ago, one of many I have gotten from numerous Catholic organizations. Often we Catholics in the pews do not consider that, of all people who need the consolation of a good priest on a regular basis, those who put their lives on the line for the protection of our country must be at the top of the list. Since that time, I have become a regular (though small) contributor to the support of this important work. Of course, there have long been chaplains throughout the years in military service. They were there through all of the wars of the nineteenth century and the big wars of the twentieth century. Korea gave us Father Emil Kapaun, who died in a Korean POW camp and whose cause for sainthood is ongoing. He is now “Servant of God.” In addition, he was posthumously awarded the Medal of Honor for his heroic military service. His heart-wrenching story is written by Brian Kelly on this website. This brings us to the Vietnam War of the 1960’s, and the heroic figure of Father Vincent Capodanno. Recently, the Archdiocesan phase of inquiry into the life and death of Father Capodanno was concluded by the AMS and Archbishop Broglio. This tribunal was headed by Monsignor Frank Pugliese of the AMS and Monsignor Thomas Olszyk, Promoter of Justice, who conducted a painstaking four year search into the life of our subject. Now these findings will be sent to the Vatican to the Holy See’s Congregation for the causes of Saints to determine if Father Capodanno lived a “life of heroic virtue,” a life worthy of sainthood. Vincent Robert was the tenth child of his Italian immigrant parents, Vincent, Sr. and Rachel. When they came to America, the Capodannos settled in Staten Island, New York. Like all Italian families, the Capodannos had close family ties supported by their intense and devout Catholic Faith. Vincent was a “regular boy” who developed the admirable habit of attending daily Mass in his high school years. Born in 1929, Vincent saw three of his older brothers enter military service during World War II. He was a good student and was able to attend Fordham University in New York City. It was while he was on retreat in 1949 that he told a friend he felt called to the religious life. That same year he applied to the Maryknoll order — the Catholic Foreign Mission Society — because he wanted to bring the Faith to people in foreign lands. After nine years of intensive study, young Father Capodanno was posted to Taiwan as missionary priest to the Hakka people of that island. These people were the aboriginal inhabitants of Taiwan and spoke a much more difficult and obscure language than the Chinese inhabitants. He was able to learn to communicate with them in their tongue and served the little community as pastor and friend. On Taiwan, he also served as youth director to Chinese students who were preparing for their college entrance exams. He was their mentor and friend as well as their teacher and priest. After a furlough back to New York to visit his family, he returned to Taiwan, only to be sent to Hong Kong, a station he did not particularly want, but he remained obedient to his superiors. It was the early 1960’s and more and more American Marines were being deployed to the area of the Far East. Father Capodanno knew that these men would need spiritual guidance; so he applied to Maryknoll to become a military chaplain. Eventually Maryknoll gave the go-ahead and Father Capodanno attended Officers Training School, finishing in the Spring of 1966. At that point he reported to the 7th Marines in Vietnam as their chaplain. This dedicated and heroic priest accomplished an amazing amount of good in his short time with the fighting men. His primary focus became the “grunts,” the new guys coming into the field of battle. His dedication to these young Marines was so complete, that he became known as the “grunt priest.” Besides ministering to their spiritual needs, he established libraries, instructed converts, gathered gifts and organized outreach programs to the local villagers. He was with his men on the battlefield, comforting the wounded and administering the sacraments to the dying. He loved these men so much that he requested a second tour of duty with them.“Stay quiet Marine, you will be OK. God is here,” were his comforting words to the wounded. On September 4, 1967, he was with the 3rd Battalion, 5th Marines. During “Operation Swift” they were holding a hill in the Que Son Valley when they were ambushed by a much larger force of the enemy. There were 2,500 of the enemy to 500+ Marines. His men were wounded and dying all around. He was also seriously wounded, having part of his right hand shot off. Nevertheless, he kept going from Marine to Marine whispering prayers and comforting words to them. When he ran to attend to a seriously wounded corpsman, even though he was unarmed, he was shot twenty-seven times. Both men died in the machine gun assault. For his bravery and service to his men, Father was awarded the Medal of Honor, the Navy Bronze Star Medal, the Vietnamese Cross of Gallantry with silver star and the Purple Heart. A Navy ship named the USS Capodanno served twenty years and has the distinction of being the first United States Navy ship to receive a Papal Blessing. There are several military chapels named in his honor, and a beautiful statue of Father administering to his last wounded Marine just before he was killed. There is even a street on Staten Island named for him. You can see a very touching video produced by Remnant TV on your computer. It is not long. I have seen it twice and both times, I have cried. His is a beautiful story of love of God, his fellow man, his own family, his country. His holiness and willingness to sacrifice his young life truly demonstrates “heroic virtue.” This is the quality which someday will make Father Vincent Capodanno — Saint Vincent.